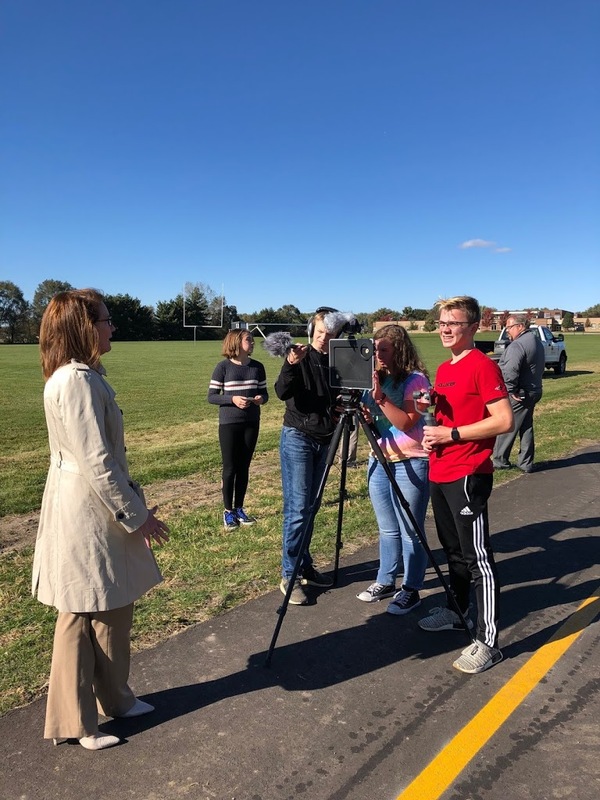 State Rep. Jeff Keicher attended the opening of the new trail connection near Sycamore Middle School on Tuesday. 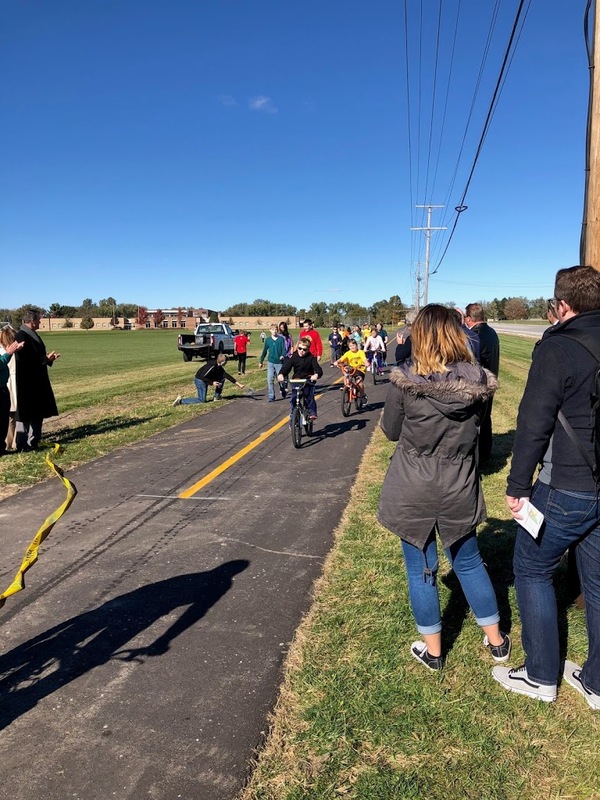 The completion of the Great Western Trail connection was a combined effort between the Sycamore Park District, Sycamore School District 427 and the City of Sycamore. A group of middle school students helped to celebrate the ribbon-cutting by riding their bikes through after it was accomplished. 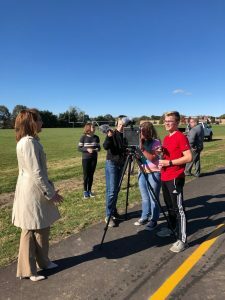 The Sycamore Middle School news team was able to cover the event. 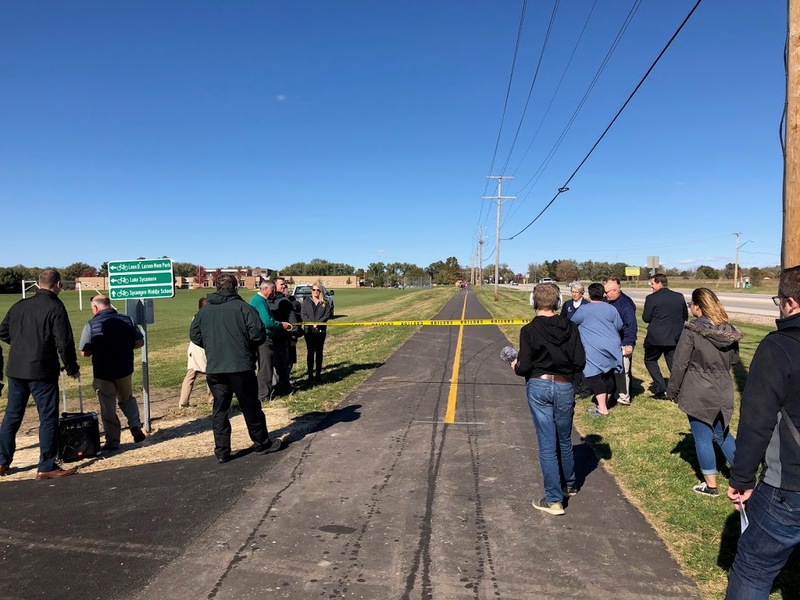 The finished segment connects Route 23 near the middle school to the Brickville Road parking area, which accesses trails to Leon Larson and Sycamore Lake parks. Congratulations to the community and everyone involved on this achievement!